Gather stories of times when onboarding has gone wrong. Reach out to a relevant role model. Track retention in high volume jobs. 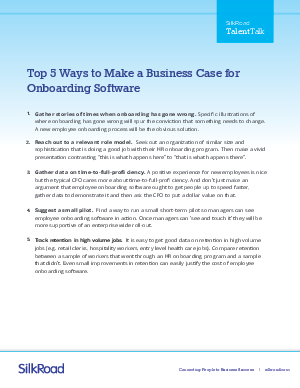 Read this whitepaper to find out more about what SilkRoad can help your onboarding software!